Pas stain or periodic acid-Schiff staining is a procedure used to visualize the presence of polysaccharides including glycogen and mucosubstances like glycolipids and glycoproteins. When is pas staining needed? It is primarily intended for staining structures that contain a strong proportion of carbohydrate macromolecules, which is common in the mucus, connective tissues, basal laminae, and glycocalyx. It is basically used to diagnose various medical conditions. 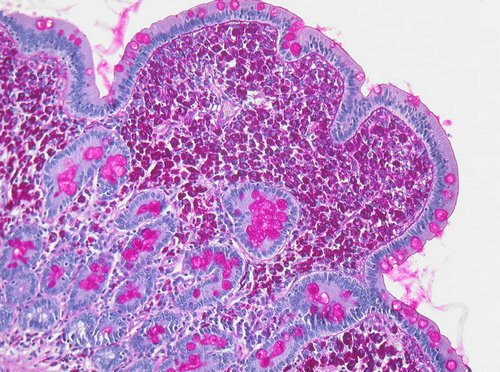 Staining the presence of macrophages in people with Whipple’s disease (a bacterial infection affecting the gastrointestinal system). Diagnosing α1-antitrypsin deficiency in patients who turned out positive for periportal liver hepatocytes. Glycogen storage disease. There is an excessive amount of glycogen in various parts of the company, particularly in the kidneys, liver, and muscles. Through pas staining, the accumulation of glycogen will be checked. The level of glycogen will be checked in patients with tumor, especially in the tissues of the lungs, bladder, and pancreas. Pas staining is used to visualize fungal organisms in the tissues of people with fungal infection. A pas stain is used to highlight the basement of the membranes of tissues. It is particularly helpful in diagnosing a glomerular disease in the kidneys. 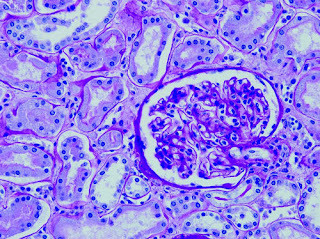 Image 1 : A good pas staining showing healthy parietal cells. Figure 2 : A pas staining result characterized by blue color and a bit of violet discolorations. Photo 3 : In this image, there are blue, red, and purplish colors. How pas staining done and what is are the processes involved? What are the solutions used? Magenta – it suggests the presence of glycogen, basement membranes, fungal organisms, and mucus substances. There are available commercially prepared periodic acid and Schiff’s reagent. It is important to keep the Schiff’s reagent away from the ultraviolet light. When not in use, make sure you refrigerate it. If you won’t do this, the sulphur dioxide content of the Schiff’s reagent will be lost. The solution will then change its color from colorless to magenta. If you notice this change, then you have to replace the solution. The periodic solution should be refrigerated too when not in use. What is a reticulin stain? 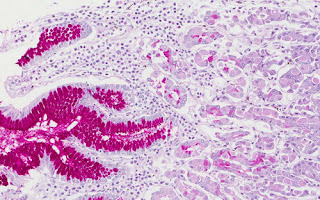 The reticulin stain is one of the highly preferred methods in histology. It is done to visualize the reticular fiber and is. It is primarily used in liver histopathology particularly helpful in the FNAB cell block preparations, especially in the differential diagnosis of liver nodules and in distinguishing between HCC and benign hepatic processes. What is a trichrome stain? The trichrome stain or also known as connective tissue stain is used to histologically visualize collagenous connective tissue fiber in the tissue sections. The kit can be used on frozen sections, paraffin-embedded, or formalin-fixed. What is a Pas-d stain and its purpose? Pas-d stain or pas staining with diastase is primarily used to differentiate glycogen from other pas positive elements like mucin, which can be found on the tissue sample. A mucin can only be detected if the glycogen is digested with diastase and rinse out.